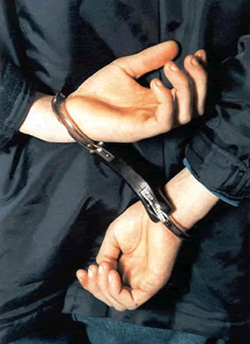 If someone you know was arrested and charged with a crime, please contact Augusta Bail Bonds. Anytime Bail Bonding, Inc.’s Augusta office can help you get your loved one out of jail quickly. An experienced bondsman with Augusta Bail Bonds will answer all of your questions and and explain what happens next. To learn more about bail bonds in Augusta contact Anytime Bail Bonding, Inc.’s Augusta office at (706) 823-1111 or visit us at 3435 Peach Orchard Road, Augusta, GA 30906. The bail bond process is an important one for getting your loved one out of jail. When you meet with a bondsman with Augusta Bail Bonds, you will share information about the person who was arrested and needs release from jail. Please be prepared to provide the following information on the defendant: date of birth, arresting charge, jail being held in (county, city, state), arresting agency, booking number and bail amount. You will sign an agreement as a third-party indemnitor, guaranteeing the individual’s bail and their appearance in court. If the defendant makes all required appearances and the bond contract has been fulfilled, the bail agreement ends after the final court date. Many businesses and individuals advertise bail bonds in Augusta. Anytime Bail Bonding, Inc.’s Augusta office offers the most efficient service in the area with expert knowledge of the bail process. We are available to assist you 24/7 if needed. So call Augusta Bail Bonds today at (706) 823-1111. Bail bondsmen are responsible for ensuring the defendant attends all required court hearings until the case is disposed of. When you meet with one of Anytime Bail Bonding, Inc.’s bail bondsmen in Augusta, they will explain the rules of the bail bond agreement, the fees and your responsibilities. Anytime Bail Bonding, Inc. hires knowledgeable and professional bondsmen who are patient and happy to help. If you have questions during the case or between hearings, your bail bondsman with Augusta Bail Bonds can answer them. It is important to stay in contact with the bondsman during the case to share updates about upcoming or recent court dates. Bail amounts will vary depending on the criminal charge. A bail bond is a secure agreement that is more affordable than having to post the full amount of the bond with the court. A bail bondsman will will charge a non-refundable fee of between 12 percent and 15 percent of the total bail amount, to assume the supervision of the defendant. Additional fees may apply. Collateral may also be taken depending on the amount of the bail bond: real estate is often taken but other forms of collateral may also be given such as stocks, bonds, jewelry and cars. This will be returned once the bail contract has been fulfilled. If your life was recently turned upside down by the arrest of a loved one, contact Augusta Bail Bonds today at (706) 823-1111.